Kundanlal Saigal, often abbreviated as K. L. Saigal (11 April 1904 – 18 January 1947), was an Indian singer and actor who is considered the first superstar of the Hindi film industry, which was centred in Kolkata during Saigal's time, but is currently centred in Mumbai. Saigal's unique voice quality which was a mixture of baritone and soft tenor was the benchmark for most of the singers who followed him. In fact it remains the gold standard even today shining through a very early and practically primitive recording technology. Saigal was born on 11 April 1904 in Nawashehr, Punjab, where his father Amarchand Saigal was a tehsildar at the court of the Raja of Jammu and Kashmir. His mother Kesarbai Saigal was a deeply religious Hindu lady who was very fond of music. She used to take her young son to religious functions where bhajan, kirtan and shabad were sung in traditional styles based on classical Indian music. Saigal was the fourth-born child of five and his formal schooling was brief and uneventful. As a child he occasionally played Sitar in the Ramlila of Jammu. Saigal dropped out of school and started earning money by working as railway timekeeper. Later, he worked as a typewriter salesman for the Remington Typewriter Company, which allowed him to tour several parts of India. His travels brought him to Lahore, where he became friends with Mehrchand Jain (who later went on to start the Assam Soap Factory in Shillong) at the Anarkali Bazaar. Mehrchand and Kundan remained friends when they both moved to Calcutta and had many a mehfil-e-mushaira. In those days Saigal was a budding singer and Mehrchand encouraged him to pursue his talent. Saigal often remarked that he was what he was because of Mehrchand's encouragement and early support. He also briefly worked as a hotel manager. Meanwhile, his passion for singing continued and became more intense with the passage of time. Kundan Lal Saigal and Jamuna in Devdas, Barua's 1936 Hindi version. In the early 1930s, classical musician and music director Harishchandra Bali brought K.L. Saigal to Calcutta and introduced him to R. C. Boral. R.C. Boral took an instant liking to his talents. Saigal was hired by B. N. Sircar's Calcutta-based film studio New Theatres on a contract of Rs. 200 per month. There he came into contact with contemporaries like Pankaj Mullick, K. C. Dey and Pahari Sanyal. Meanwhile, Indian Gramophone Company had released Saigal's record containing a couple of Punjabi songs, composed by Harishchandra Bali. In this way, Bali became Saigal's first music director. The first film in which Saigal had a role was the film Mohabbat Ke Ansu, followed by Subah Ka Sitara and Zinda Lash, all released in 1932. However, these films did not do very well. Saigal used the name Saigal Kashmiri for his first three films and used his own name Kundan Lal Saigal (K. L. Saigal) from Yahudi Ki Ladki (1933). In 1933, four bhajans sung by Saigal for the film Puran Bhagat created a sensation throughout India. Other films that followed were Yahudi Ki Ladki, Chandidas, Rooplekha and Karwan-E-Hayat. As a youngster, Lata Mangeshkar is alleged to have said that she wanted to marry K.L. Saigal after seeing his performance in Chandidas (1934). In 1935, Saigal played the role that would come to define his acting career: that of the drunken title character in Devdas, based on Sarat Chandra Chattopadhyay's novel of the same name and directed by P.C. Barua. His songs in the film Devdas (1935), "Balam Aaye Baso Moray Man Mein" and "Dukh Ke Ab Din Beetat Naahi", became popular throughout the country. Saigal picked up Bengali very well and acted in seven Bengali films, produced by New Theatres. Rabindranath Tagore first heard Saigal before giving consent for the first time to a non-Bengali singing his songs. Saigal endeared himself to the whole of Bengal through his 30 Bengali songs. Saigal's association with New Theatres continued to bear fruit in the successful films Didi (Bengali), President (Hindi) in 1937, Desher Mati (Bengali), Dharti Mata (Hindi) in 1938, Saathi (Bengali), Street Singer (Hindi) in 1938, Dushman (1939), Jiban Maran (1939) and Zindagi in 1940, with Saigal in the lead. There are a number of songs of this era which form the rich heritage of film music in India. Also, in Street Singer, Saigal rendered the song "Babul Mora Naihar Chhooto Jaye" live in front of the camera, even though playback was becoming the preferred method of singing songs in films. Advertisement for Saigal program published in The Tribune in 1937. In December 1941, Saigal moved to Mumbai to work with Ranjit Movietone. Here he acted and sang in a number of successful films. Bhakta Surdas (1942) and Tansen (1943) were hits during this period. The latter film is still remembered for Saigal's performance of the song "Diya Jalao" in Raga Deepak; in the same movie, he also sang "Sapta Suran" and "Tin .. Gaa-o Saba Guni Jan". In 1944, he returned to New Theatres to complete My Sister. This film contained the songs "Do Naina Matware" and "Ae Qatib-e-Taqdeer Mujhe Itna Bata De". By this time, alcohol had become a predominant factor in Saigal's life. His dependence on alcohol had begun affecting his work and his health. It was said that he could only record a song after being fortified with liquor. He survived ten years of drinking; however, his alcoholism was too advanced for even a single attempt at abstinence, and Saigal died in his ancestral city of Jalandhar on 18 January 1947, at the age of 42. However, before his death, he was able to churn out three more hits under the baton of Naushad Ali for the film Shahjehan (1946). These are "Mere Sapnon Ki Rani", "Ae Dil-e-Beqaraar Jhoom" and "Jab Dil Hi Toot Gaya". Parwana (1947) was his last film, released after his death, in which he sang under the baton of Khawaja Khurshid Anwar. 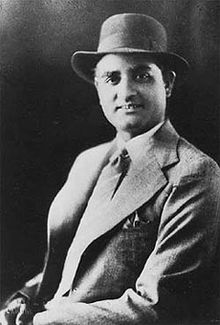 The four songs which Saigal sang in Parwana are: "Toot gaye sab sapne mere", "Mohabbat mein kabhi aisi bhi haalat", "Jeene ka dhang sikhaae ja", and "Kahin ulajh na jaana". Saigal was survived by his wife Asha Rani (whom he married in 1935); three children, a son and two daughters: Madan Mohan, Nina (born 1937) and Bina (born 1941); and an adopted child, his late elder brother's daughter, Durgesh Nandani, whom he adopted when he was still single. In a career of fifteen years, Saigal acted in 36 feature films – 28 in Hindi, seven in Bengali, and one in Tamil. In addition, he acted in a short comedy Hindi film, Dulari Bibi (three reels), released in 1933. In 1955, B.N. Sircar released a documentary film based on the life of K.L. Saigal, Amar Saigal. In the film, G. Mungheri performed the title role of Saigal. The film contained 19 songs lifted from Saigal's films. In all, Saigal rendered 185 songs which includes 142 film songs and 43 non-film songs. Of the film songs, there are 110 in Hindi, 30 in Bengali and two in Tamil. There are 37 non-film songs in Hindi, and two each in Bengali, Pashto, Punjabi and Persian. His non-film songs comprise bhajans, ghazals and hori. He has rendered the creations of poets such as Ghalib, Zauq, and Seemab. Saigal's distinctive singing was revered and idolised by the first generation of post-independence Hindi Film playback singers, including Mohammad Rafi, Lata Mangeshkar, Kishore Kumar and Mukesh have even gone on record in an interview that they consider Kundan Lal Saigal to be their musical guru. 1932 Mohabbat Ke Ansu Debut Movie. Mohabbat Ki Kasauti/Rooplekha Arup In Hindi version. The song "Saigal Blues" from the Bollywood film Delhi Belly (2011) pays tribute to him. On 11 April 2018, on the occasion of his 114th birthday, Google paid homage to Saigal with a doodle. ^ Nevile, Pran (2004). K L Saigal: Immortal Singer and Superstar. India: Nevile Books. ISBN 9788190116619. Retrieved 29 January 2015. ^ Chaudhuri, Shantanu Ray. "Cinema of Bengal: A Historical Narrative (Part I)". projectorhead.in. Retrieved 29 January 2015. ^ Saṅgīt Mahābhāratī (2011). "Saigal, K.L". The Oxford Encyclopaedia of the Music of India. Oxford University Press. ISBN 9780195650983. ^ "K.L. Saigal, a musician of the masses". Retrieved 7 April 2011. ^ "The Music Greats K. L. Saigal". sangeetmahal.com. Sangeet Mahal. Retrieved 29 January 2015. ^ Gulazāra; Govind Nihalani; Saibal Chatterjee (2003). Encyclopaedia of Hindi Cinema. Popular Prakashan. pp. 308–. ISBN 978-81-7991-066-5. Retrieved 29 January 2015. ^ a b Sabine Haenni; Sarah Barrow; John White (27 August 2014). The Routledge Encyclopedia of Films. Routledge. pp. 199–. ISBN 978-1-317-68261-5. Retrieved 29 January 2015. ^ Chopra, Satish. "The three versions of film: 'Devdas'". apnaorg.com. Academy of the Punjab in North America. Retrieved 29 January 2015. ^ "Kundanlal Sehgal Dead". The Indian Express. 20 January 1947. p. 1. Retrieved 11 April 2018. ^ "K L Saigal – K L Sehgal Biography, Life History of K L Saigal, Kundan Lal Sehgal Songs". Culturalindia.net. 11 April 1904. Retrieved 8 March 2012. ^ "K. L. Saigal's 114th Birthday". www.google.com. Retrieved 2018-04-11. "Tribute: King of pain". The Tribune. 16 January 2005. Ashish Rajadhyaksha and Paul Willemen: Saigal, Kundan Lal. [In] Encyclopedia of Indian Cinema, Oxford University Press, New Delhi, revised edition, 1999, p. 203. Śarada Datta (2007). Kundan (Hindi) (in Hindi). Penguin Books India. ISBN 978-0-14-310156-7. Wikimedia Commons has media related to K. L. Saigal.